Performance Driving Australia deliver trailer towing programs for organisations who tow equipment or machinery behind company vehicles. 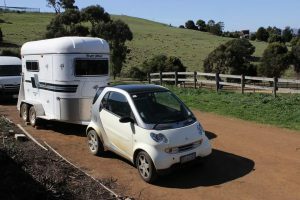 Trailer towing courses are available Australia wide for small or large groups. Courses cover complete operation from start to finish including reversing and emergency braking. Trailer programs can include nationally recognised units. If your organisation operates trailers contact us.